Yahoo! Mail Grinds My Gears | Welcome to Insana Live! For years, I’ve used Yahoo Mail as my primary source of email communication, mainly since I quit Hotmail (my email source from 1995 to 2000) because Hotmail has/had ridiculous space restrictions. Yahoo Mail didn’t, and I appreciated it. But Yahoo Mail has worn out its welcome. Over the years, I’ve subscribed to many a website using my yahoo address, and it’s since become a space for spam, a marketing mecca, a promotional parking lot. That’s fine, because I gave someone my email address, and they will email me and thousands of others until their server is blue in the face or I choose to unsubscribe. 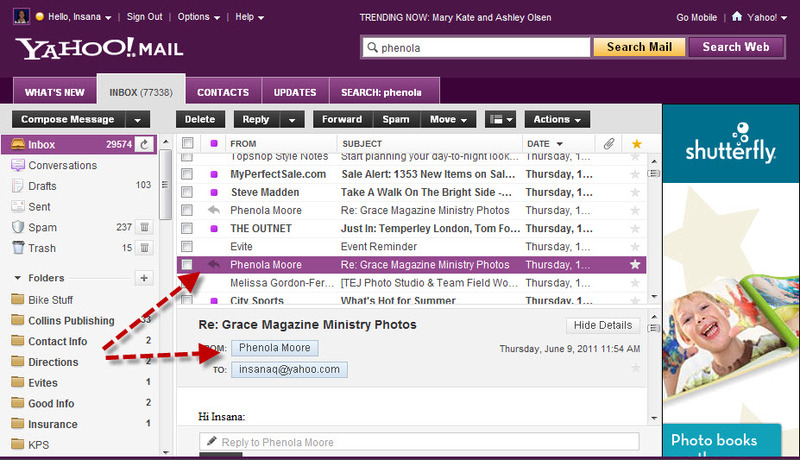 Today, like many other days this year, I opened my Yahoo Mail to check email, of course. After wading through the mire to find an email of importance, I click on it so that I can read its contents. The reading pane below my list of mail messages is still blank several minutes later. Where’s my email? What does it say? After several more minutes, I get this message. Here’s a closer look. Whatever this means. 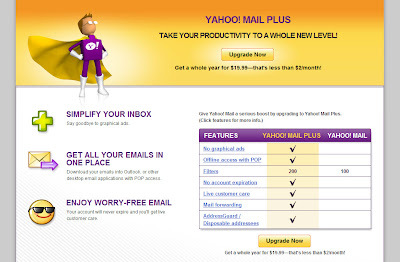 So I do as I’m told and re-launch Yahoo Mail. What happens? Nothing. I just have to wait for the Yahoo Mailmen to get themselves together and check my email again at noon, by which time, I may have missed whatever I was supposed to know at 9 am. I’m speaking from experience. This has happened before. But that’s not all. Yahoo has a cool, yet non-functioning search function at the top of the page, to help you find important emails quickly and easily. Peep this email below, from a woman at my church named Phenola. Now watch me search “Phenola” in the Search Mail box at the top of the page. Guess what happens? That’s right, no messages found. 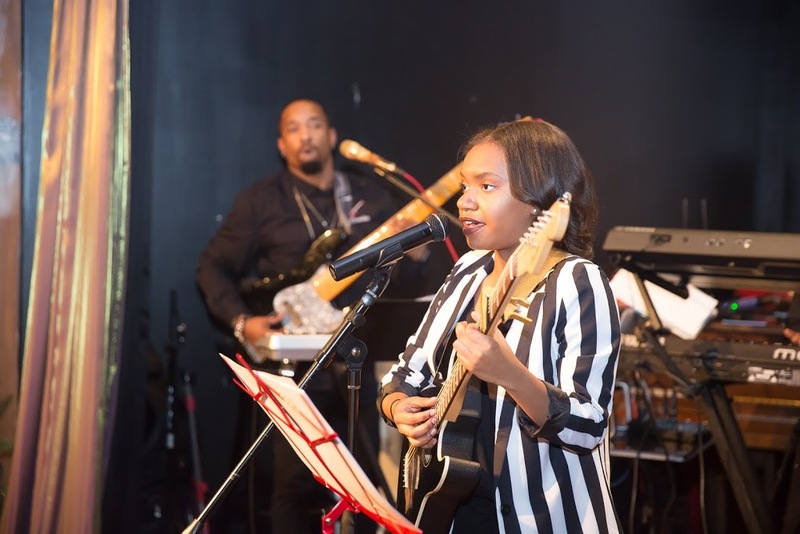 But you saw with your own eyes that I have at least one message from Phenola. 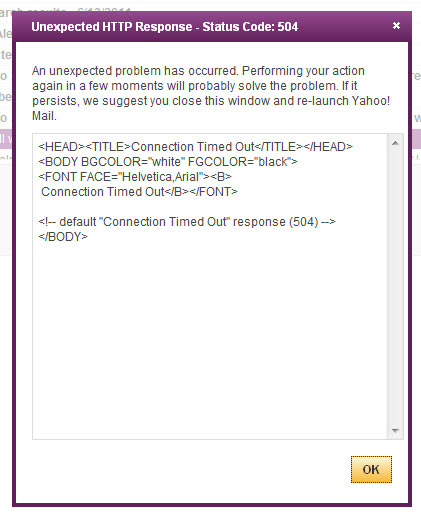 Thank you, Yahoo Mail, for nothing. Oh, there’s more! 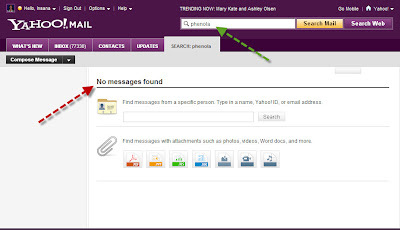 When searching for that email from Phenola, not only were there no messages found, but I got another Code 504 message, just to be on the safe side, I guess. But wait, there’s more! More of less, I guess. Let’s say I wanna quit this Yahoo Mail business and just get my email forwarded to another location where I can actually read it. 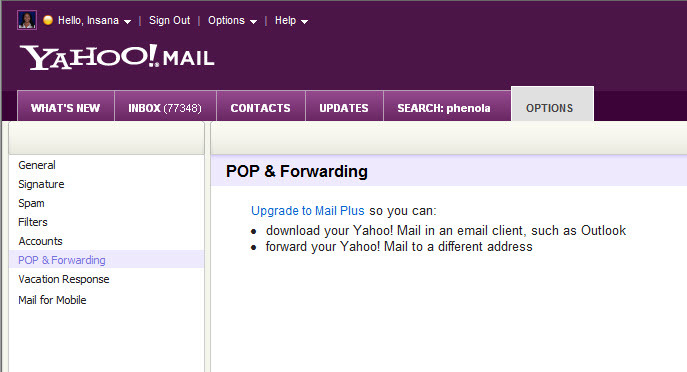 Well, Yahoo Mail won’t forward your messages unless you pay to upgrade to Yahoo Mail Plus! That’s right! You too can pay money for what everyone else offers for free! Only $19.99 a year! Yahoo Mail is awful. What’s the point in having an email address there if you sometimes can’t get mail from it? It’s a little like going to the candy store and there’s never any candy, or to the post office and they’re always out of stamps. And I have to keep using it and checking it because I’ve had it so long, kinda like an old house address, to make sure nothing important lands there and gets lost in the sauce. 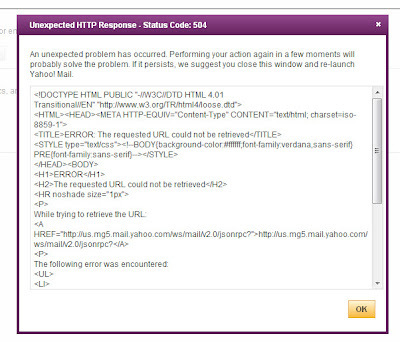 Yahoo mail is not the business. 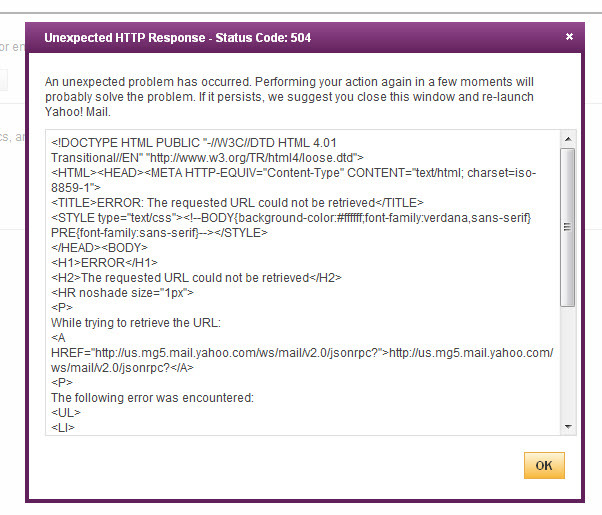 Yahoo Mail is the weakest link. I wish I had an extra hand to give Yahoo Mail three thumbs down.